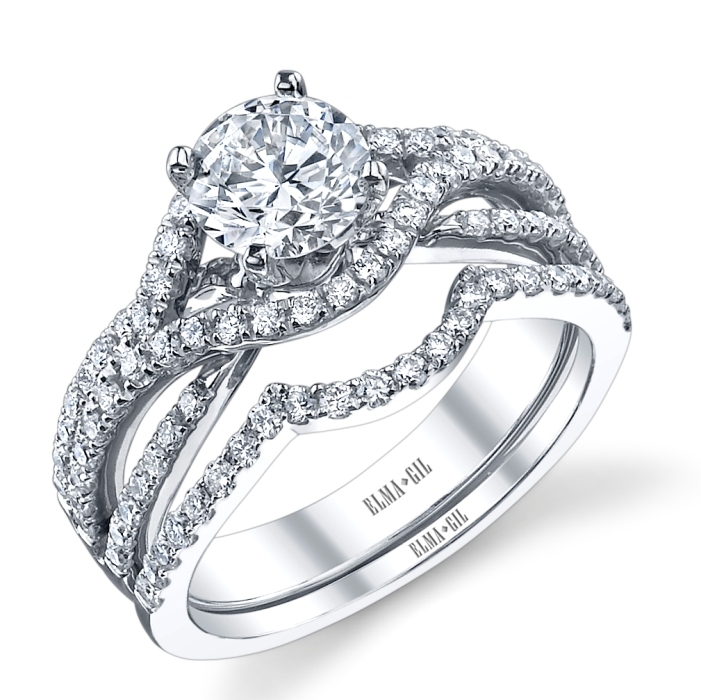 BEAUTIFUL INTRICATE DESIGN - THE SHANK SPLITS AROUND THE CENTER STONE, DIAMONDS THROUGHOUT. ANOTHER DIAMOND SHANK REACHES UP TO EMBRACE THE REST. THE MATCHING BAND COMPLETES THE ENSEMBLE DESIGN. (CENTER STONE SOLD SEPARATELY).